I have been making this lovely chocolate & almond Easter cake over and over again; it has never failed to disappoint us and I wanted the share with you all again. The ground almonds make this cake really moist and the cake stays fresh for 4-5 days. It is a rich cake and I like to cut it in small squares to enjoy the it as a “treat”. 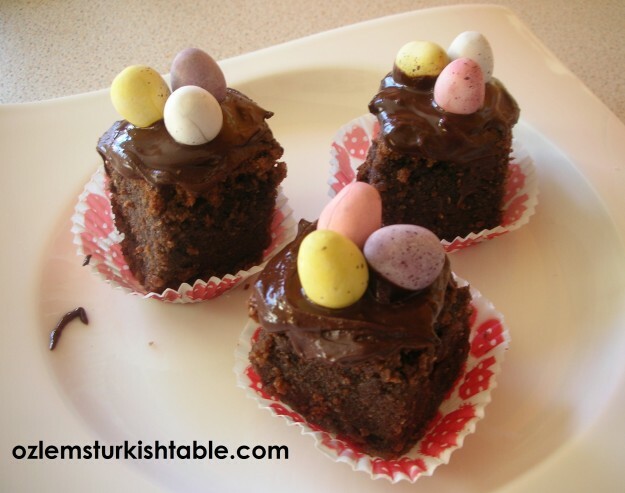 The children absolutely love decorating with little Easter eggs and licking out the bowl of remaining melted chocolate in the end – so do I : )! Here is the recipe for the Chocolate & Almond Easter Cake, I hope you enjoy it. I will shortly be packing my bag to depart for home, Turkey for my culinary & cultural tour. I am thrilled to be traveling with a group of enthusiastic travelers and food lovers around Istanbul, Dardanelles, Gallipoli, Priene, Miletus, Didyma, ride along the Aegean coast, visiting this fascinating land and enjoying the Turkish Cusine. It will be special to be in Istanbul during the Easter Period, as we plan on visiting the St Antony’s Catholic Church as well as the Greek Patriarchal Seminary in Heybeli Island. I hope you join and enjoy our adventures in Turkey through my blog in the next coming weeks. Converse/Interact with the locals:. Learning a couple of frequently used Turkish words will be very helpful to you (like “Tesekkurler” for “Thank You”, Merhaba for “Hello” etc.) and the locals would really appreciate it. Most of them have high tolerance for different cultures and would be very happy to help to you. A little effort and a smile always go a long way. 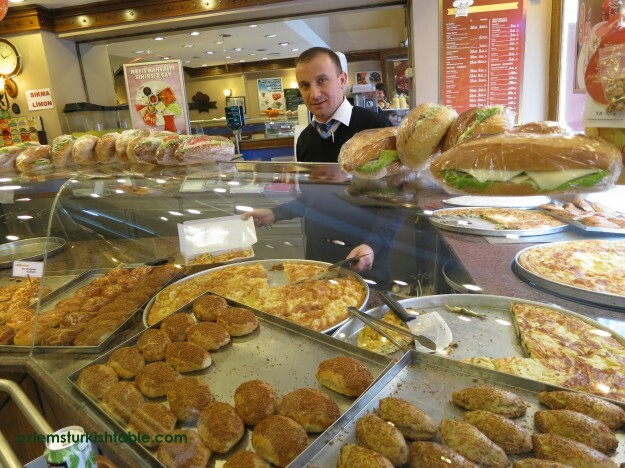 Borekci with mouthwatering savory and sweet pastries, and ‘sinirsiz” – unlimited cay – very welcome! Make the Most of the Delicious Turkish Street Food: Turkish cuisine is healthy, delicious and the Turkish street food is of great value. Try and enjoy them whenever you can; boreks – the stuffed savory pastry shops , Simit – sesame encrusted bread rings- stalls pilaf with chickpeas & chicken stalls are around almost every corner. 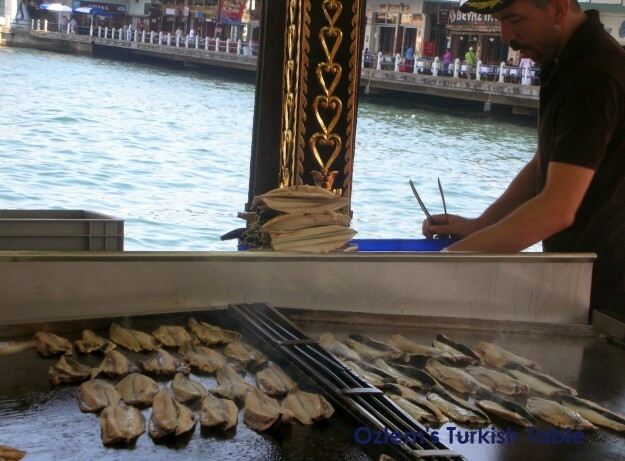 How about Balik & ekmek – the grilled fish sandwich by the Bosphorus or by any harbor? So delicious and a great opportunity to be a part of the local life. Simit, sesame encrusted bread rings must be the most popular street food in Turkey. 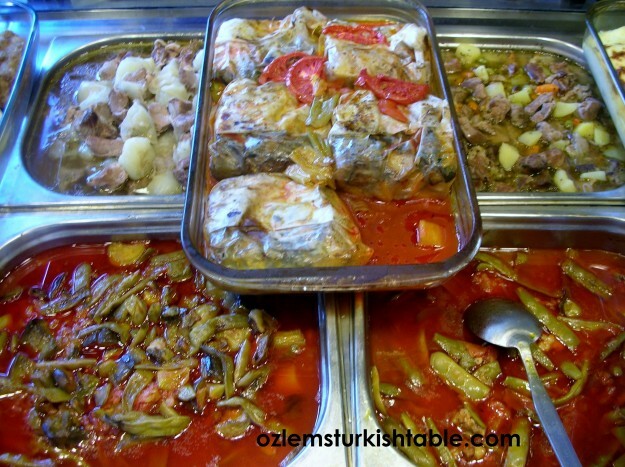 Have you ever tried the humble Esnaf lokantasi, traditional style Turkish restaurants, where mouthwatering trays of precooked – and gently heated – stews, rice, vegetables cooked in olive oil, stuffed vegetables and many more – are displayed in a buffet style. Delicious casseroles, vegetables cooked in olive oil, stuffed peppers and many more await you at the Esnaf Lokantasi, traditional eateries. This is slowly cooked “fast food”; all you need to do is to pick up your tray and point to the Chef, Asci, which dishes you would like to try – they are ever so inviting, healthy, delicious, great value and a wonderful way to sample some home style Turkish meals. 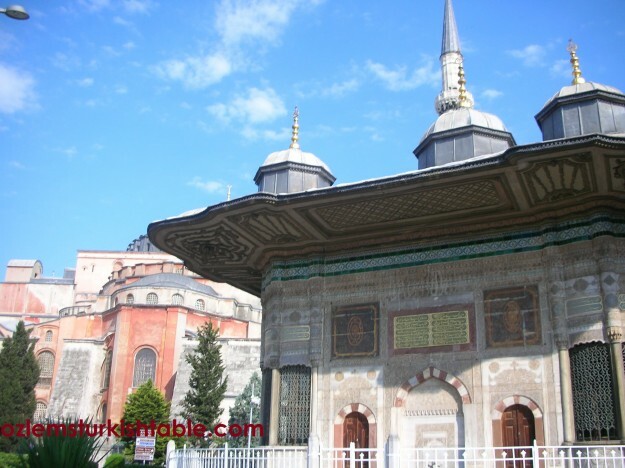 Check out IstanbulEats for local eateries in Istanbul. Trays of delicious, great value feast; all you need is to grab your tray and point out what you’d like. Use public transport whenever you can :The underground/subway at the European side of Istanbul, as well as the tram is very efficient and beats the traffic big time, use it as much as you can. Traveling by the ferry in Istanbul is a very relaxing and hassle free experience. 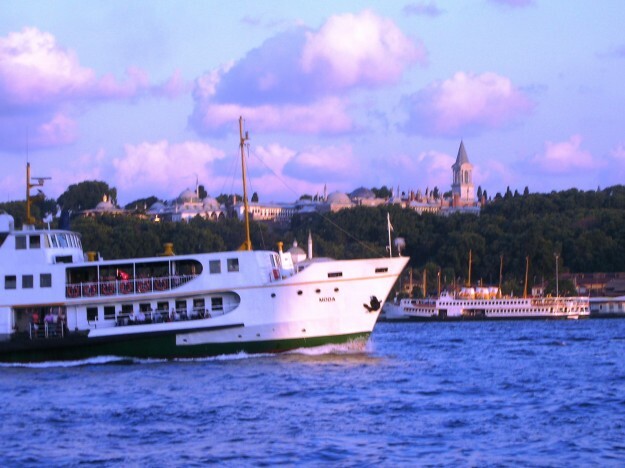 When traveling between Asian and the European sides of Istanbul, have a go at the traditional ferries, Vapur. They are delightful to travel and you escape the heavy traffic on the road, with a bonus of a glass of cay & simit to enjoy at the ferry! 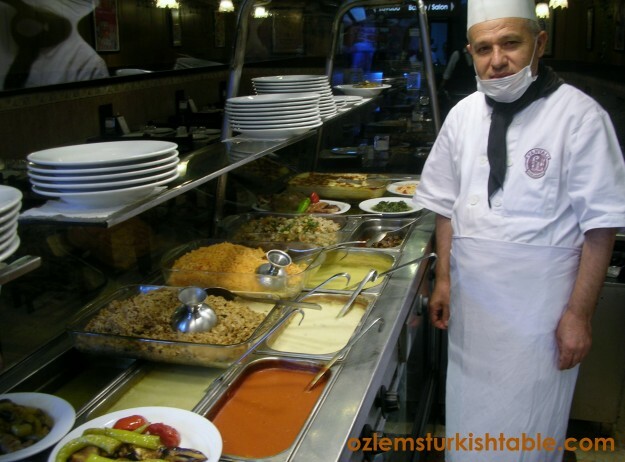 Learn how to cook Turkish cuisine: Most folks traveling to Turkey have told me they were amazed to see how delicious, healthy Turkish cuisine is – so true! And good news is, you can learn to make these wonderful mezzes, kebabs and more while in Turkey. 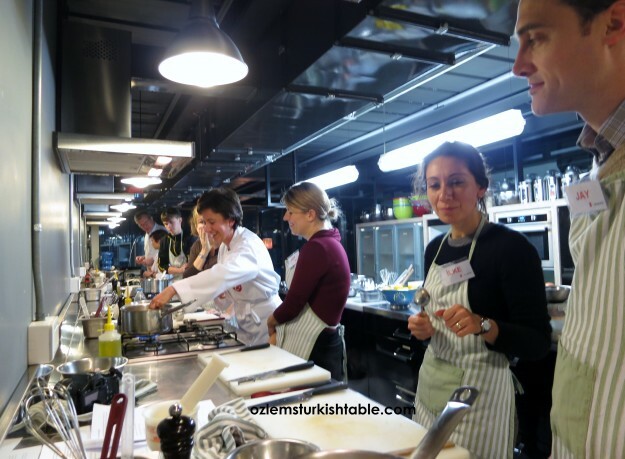 Istanbul Culinary Institute offers wonderful hands-on classes if you would like to have a go, you won’t be disappointed. Stock up on your spices: Spices have an important part in Turkish cuisine; we add flavor to our dishes through the artful use of spices like the fragrant cumin, fiery Aleppo pepper, refreshing dried mint and tangy sumac. 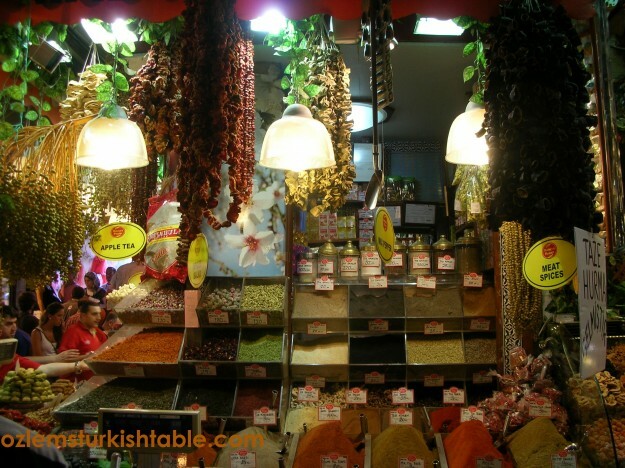 Make sure to get your bach of spices when you visit the Spice Market in Istanbul. I also like to stock up on nuts like the Antep Pistachios (probably the most delicious pistachios you’ve ever tasted), almonds, walnuts and dried fruit like power food dried apricots and dried figs. If you’re planning a road trip to Turkey, there are some fantastic blogs like Turkish Travel Blog and Turkey’s For Life offering great tips, routes and insights for traveling in Turkey, so well worth checking out. Well, I’d better sign off and finish my packing – I greatly look forward to hitting the road towards home and sharing what we will see, taste and learn; I hope you join us at exploring the fascinating land of Turkey! My best wishes for Happy Travels – Iyi Yolculuklar! Hi Ozlem, Are you coming as far as Bodrum? what fun…have a wonderful trip! 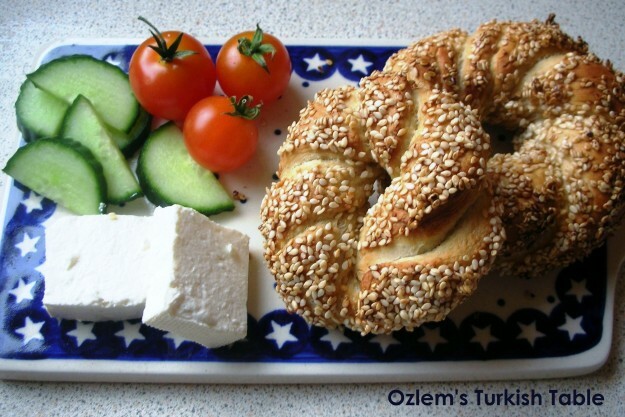 my daughter is coming home this weekend and i will be baking simit and making her a huge turkish easter breakfast! Merhaba Jaz, thanks for that. Enjoy your daughter’s company and simit & that lovely breakfast, Happy Easter! Sounds like a great tour! The photos you share here will make lots of people want to visit Turkey! The tips here are really helpful ones for people from diferent countries. Enjoy your journey! Have a great trip Özlem – wish I could be there with you! Hello, I am Kirti from Pune, India, I am your huge fan , and I try your recipes often with whatever ingredients I get here in India, I want to visit turkey so much but my kids are still very small and i will have to wait for couple of years but thanks to you I get a nice tour of Turkey just by visiting your blog, keep writing and take care, lots of love, kirti.and do visit India sometime. I hope the trip goes really well – I’m sure it will. I’m certainly convinced about the delicious variety of Turkish foods. Maybe one day I’ll get there for a visit. yummy in my tummy, but where’s the recipe?